Omega Realtech Ltd has chosen BuildTrack Home Automation solutions to make their office Safe, Sustainable and Smart. BuildTrack surveillance system has been installed previously in one of the projects by Omega. The office is located in Worli and the BuildTrack automation solutions suggested in the office includes motorized blinds, surveillance cameras, access control system and other safety security sensors. BuildTrack also offers energy saving motion sensors, lighting control through Remotes, SmartApps, and traditional manual switches. The conference room of any office could be automated with motorized screens, remotes projector or screen control, reservation features etc. 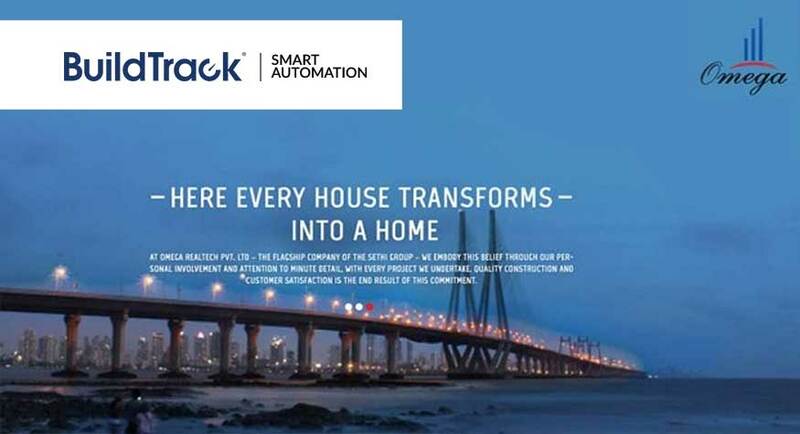 BuildTrack™ is a brand of automation and surveillance solutions offered by Surmount Energy Solutions that are designed to meet the security, comfort or convenience needs in a broad range of residential, commercial or retail facilities and buildings. Surmount Energy, a leader in Green Building Consulting and Automation Solutions operates at 20,000 sq. ft. LEED platinum certified facility, in Navi Mumbai.